When I posted my recipe for sweet potato hummus a few weeks ago, I suspected it would be a hit, and I was right. 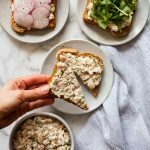 In the time since I first shared it, a ton of readers have tried, modified, and repeated the recipe. Hooray! I love when the things I like to eat are as well loved by others as they are by me. I have two favorite dips/spreads. Hummus is one. 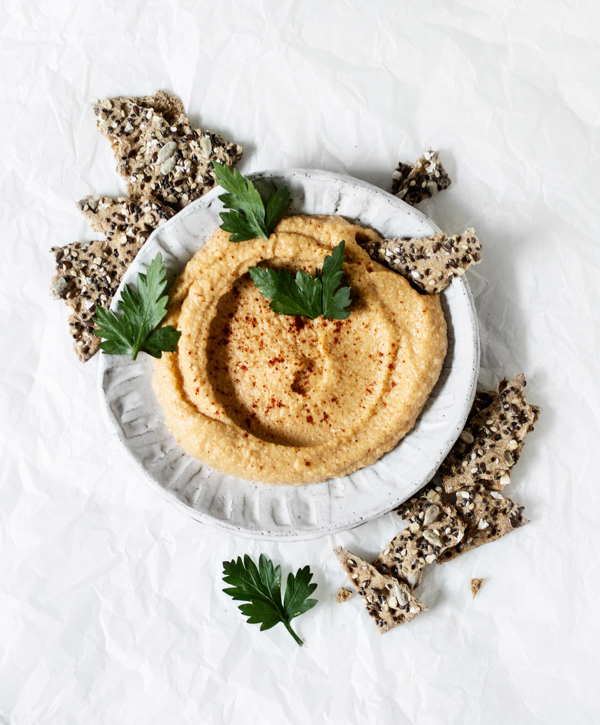 The other is cashew cheese, and I love it for pretty much the exact same reasons I love hummus: it’s tasty, addictive, versatile, and completely open to modification. 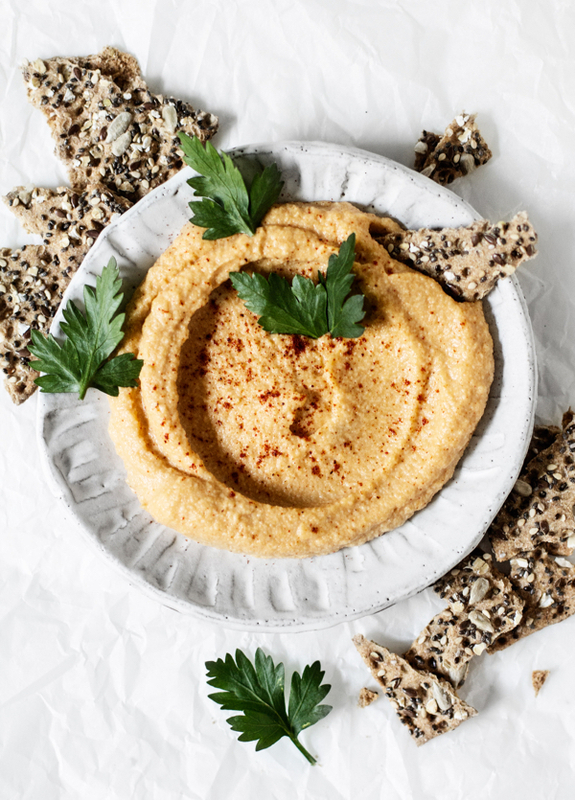 Just as there are tons of hummus varieties to enjoy—red pepper, sundried tomato, olive, sesame, mixed veggie—so too are there hundreds of ways to enjoy cashew cheese. I tend to like it best mixed with sundried tomato and basil—“pizza cheese,” I call it—but I’ve also mixed it with dried cherries and lemon zest, mixed herbs, and red pepper flakes. No matter what I do with it, it’s delicious. This stuff is so good. I mean, so good. And it’s easy to make. An additional upside is that it’s not quite as rich as regular cashew cheese, as the sweet potato helps to lighten it up. It’s a great dip for fall, for holiday gatherings, or really for any time of year. Place the cashews in the bowl of a food processor. Add the salt, nutritional yeast, and lemon juice. Pulse a few times. With motor running, drizzle the water into the bowl until the cashews are forming a creamy, uniform dip (you might need to stop now and then to scrape the bowl). Add the sweet potato mash, cinnamon, and nutmeg, and blend again. Check seasoning and adjust salt and lemon as needed. Serve! 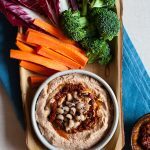 The dip is great in a collard or a whole grain wrap, with crackers, as a sandwich spread, or with crudites. I’d even be happy to mash it into a salad! I was digging on sweet potatoes in spreads this week, too! I made an edamame dip with Asian flavors and threw a couple of baked ones in. It really made the whole thing so creamy. I’m going to continue with this tasty trend, I think. I loved this recipe but I decided to kick it up a notch. I added some cayenne pepper, a little onion powder and half a garlic to the mix and “Bam,” it was amazing! My church family couldn’t get enough of it! Ohhhh Gena, this is fabulous! Oh, Gena, I seriously want to make this right now. I LOVE your cashew cheese with meyer lemon and bing cherries and I know this one will not disappoint. Thank you!! This looks yummy. I need to get myself the ingredients to make it! It looks so smooth and creamy in the blender! Yum. I haven’t been buying raw cashews lately because I was seriously getting addicted to them…! But I think I will take a stab at taming my addiction so that I can buy some again for this, because it looks delicious. Oh! THis looks so good! I love the idea of adding the sweet potatoe! Sounds like a phenomenal combo. Thanks Gena! p.s. good luck with finals next week. I’ve just really begun to enjoy yams/sweet potatoes–have just been eating them straight and occasionally in a smoothie, but this looks so good, I’ll have to try it. Your food always looks so beautiful! Finals, flashcards, and studying while juggling your boyfriend’s arrival…omg you are in college again, for real, aren’t you!! Wow…I am soo impressed by your life path, Gena. Seriously..just your last sentence took me back to my former life, i.e. college. Your sweet tater cheezey spread here looks wonderful. I am a fan of it just based on the no-beans involved. 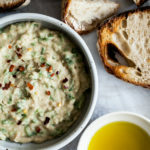 Not that I dont love my roasted chickpeas and hummus-ey spreads but beans and my tummy are not friends in more than very small quantities so this is a perfect dip. And anything that starts out w/ 1 c of cashews and nooch, well, it’s gotta be delish! Umm, yes please! I have a sweet potato sitting on my counter, just waiting to get used. I think this will be the way. I better get some cashews to soaking. Happy Flash Card making! I remember when I took organic chemistry and had flash cards out the whazoo but still needed more learning opportunities, I started writing formulas and equations and reactions on my bathroom mirror with dry erase pens. I brushed my teeth and fixed my hair with visions of hexane and benzene rings and all the like dancing through my head. Lovin’ this recipe. I’ve got to make it. I’ve been addicted to a similar recipe but the “orange” component is carrots (cooked) and it is astonsihingly good. So I have no doubt that your creation is as good as you described it! Thanks again Gena for another great recipe to try. Were you torn between becoming an MD and a chef???? I definitely have acquired a cashew cheese addiction and need a little variety. This looks fantastic! Oh my, this sounds amazing Gena! I love cashew butter on sweet potatoes, so I imagine I’d love this too. Good luck studying! Looks stellar! I will just ned to get myself a sweet potato and this will be blessing my taste buds! Good luck with your studies 😀 yay school! What a creative recipe! I’ve never seen miso and nutritional yeast mixed with sweetness, cinnamon, and nutmeg. I can’t quite imagine what this would taste like but I trust that it would be delicious. Have a lovely weekend!… and seriously this sounds so good. Looks divine!!! I love sweet potatoes but have yet to try the hummus, which also looked delicious. Do the cashews need to be unsalted? I’m having a hard time finding unsalted cashews at a reasonable price. That looks awesome! I think I might try it with almonds instead of cashews (I’m allergic to cashews. Sad times.). 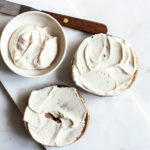 I was wondering, why are vegan cheeses and sauces made with cashews so often as opposed to other nuts/seeds? I guess there must be something about them that makes them particularly good for such things! Sounds delicious, I’m already thinking of all of the delicious things I could make with this. Finals next week!? That’s so early! This looks so good! 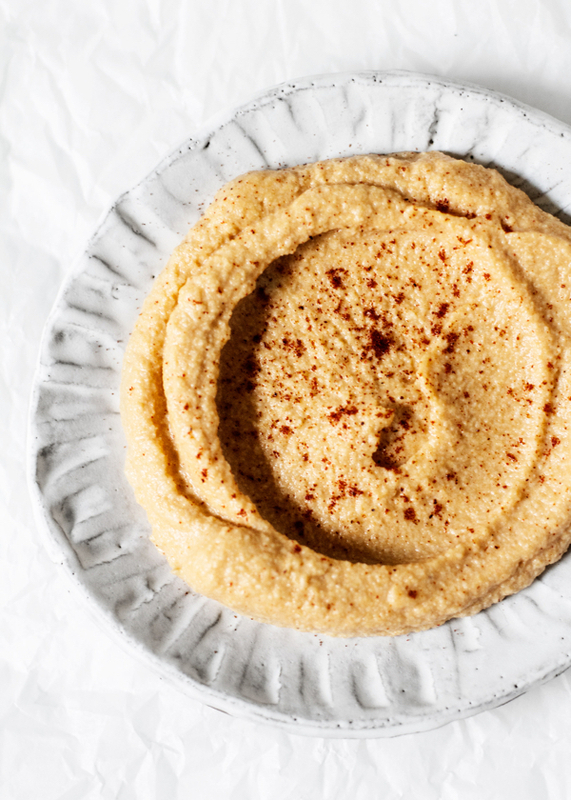 Love me some hummus! ohhhh… i just roasted sweet potatoes. i just need miso. maybe i can switch it out for a little tahini? can’t wait to try it out! Yeah, miso is optional. Enjoy, Laura! Can not wait to try this sw potato cashew cheese. Do you know where I might find the miso? I’ve never purchased it before. Okay, I just commented and forgot to hit submit comment, haha. Sorry I am a little tired, also sorry for the lack of comments, but we are always thinking of you! Hope school is going well!!! And I cannot wait to make this. I have been a huge sweet potato kick lately 🙂 I normally do tahini but now need to try cashews, yum! I made this today and it’s amazing. For lunch I wrapped it in nori ,totally inspired by a recent post on here– highly recommend the combo. 2 weeks ago i made a version of this but with butternut squash. i used it as a sauce for a mac ‘n cheese type casserole. it was SOOOO good. I can’t wait to make this tonight. I just put my cashews in water. There’s really no way you can go wrong with cashews and sweet potatoes. Thanks for the recipe! This will be something I frequently make. I made this tonight and LOVE it! I will definitely be making it again. Thanks for the recipe!! This was great – I had a cooked sweet potato and cashews that had been soaking all afternoon. 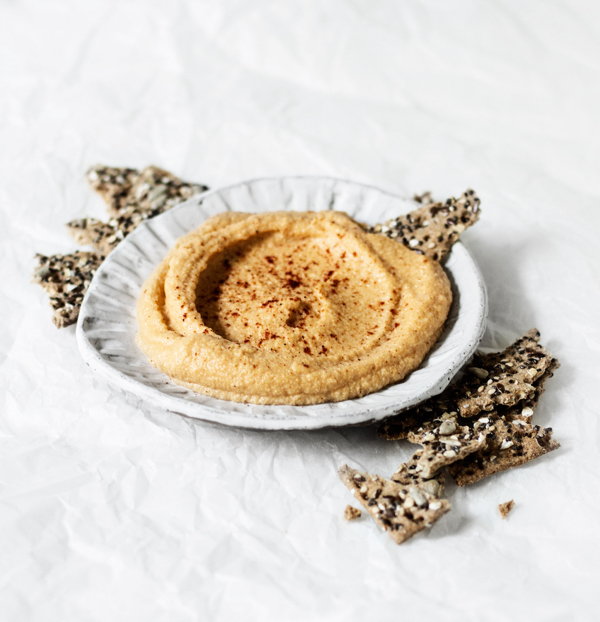 I thought, hmm, wonder if I can find a sweet potato cashew cheese recipe… Found your site and made this up with the only change being a dash of cayenne pepper and it is so delicious! I poured some over a bowl of rice and beans for lunch tomorrow and then I made a grilled cheese sandwich using Dave’s Killer Bread brushed with maple syrup – best vegan grilled cheese ever!